(Atlanta, GA) United Turf Alliance announces the introduction of ArmorTech® SureZone® Turf Herbicide containing four proven active ingredients, including the protox inhibitor sulfentrazone. The other active ingredients in the new herbicide are 2,4-D, MCPP and dicamba. SureZone is an economical, water-based formulation packaged in 2 x 2.5-gallon cases and 55-gallon drums. Labeled for use on most cool- and warm-season turfgrasses, with the exception of St. Augustine, it controls a long list of broadleaf weeds including many tough species. SureZone can be applied at temperatures up to 90°F, is rainfast within six hours and allows reseeding in three weeks. Always read and follow label instructions. 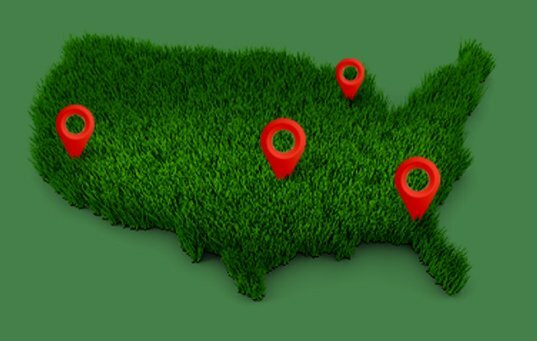 Incorporated in 2005, United Turf Alliance markets leading-edge turf protection products under the ArmorTech brand name through its members and dealer partners. The alliance directs its efforts toward discriminating golf course superintendents and other turfgrass professionals who value relationships based on industry and product knowledge combined with excellent customer service.